Call Connection Ltd no longer run and operate tiger.co.uk. However, to compare quotes please select a product below to be taken to the Quotezone website. Quotezone is a trading name of Seopa Ltd.
Search over 45 insurance providers in the UK. Search over 15 insurance providers in the UK. Search up to 30 insurance providers in the UK. Search up to 15 insurance providers in the UK. Get life insurance quotes from providers in the UK. Seopa Ltd are a limited company registered in Northern Ireland, Registered number: NI46322. Registered office: Seopa Ltd, Blackstaff Studios, Floor 2, 8-10 Amelia Street, Belfast, Co. Antrim, Belfast, BT2 7GS. Seopa Ltd is authorised and regulated by the Financial Conduct Authority (FCA). Our registered number is 313860. Our permitted business is insurance mediation as well as having permission for credit brokerage. 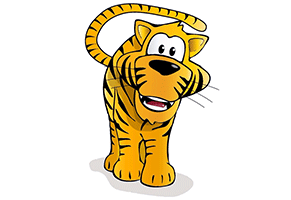 Tiger.co.uk is a trademark of Seopa Ltd. Copyright © 2003-2018 Seopa Ltd. All rights reserved.